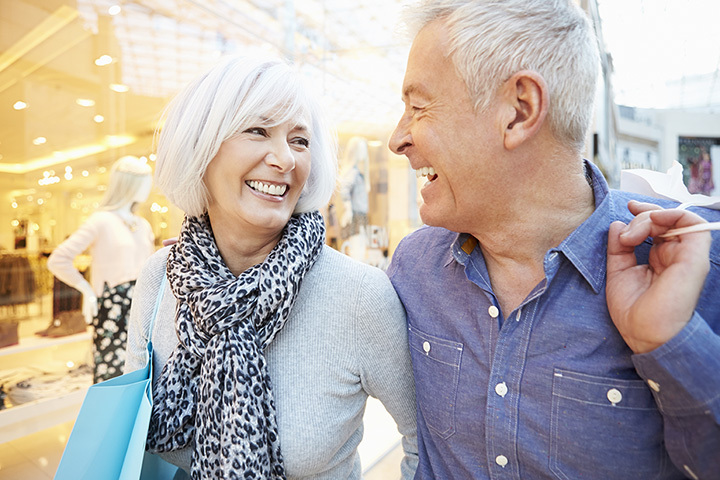 From Reno art museums to Las Vegas casinos, the 55 and over crowd in Nevada is graced with exciting opportunities when it comes to senior discounts. Save money on flights, ice skating, and dinner all across the state with these 10 awesome senior discount offers. The National Automobile Museum offers near-endless delights to automobile fans. They invite you to “walk through our cobblestone street scenes, honk the antique ‘ooga’ horn, put on a period hat and coat and create your own stories on our photo car.” Seniors get in for a cool $10 (starting at age 62). The Nevada Museum of Art in downtown Reno, Nevada, has been around for almost 80 years, and “has provided significant arts education programming for the public,” in addition to their many exhibits. Continue your cultural education with a discounted ticket price of only $8. The Nevada Humane Society is bringing together senior citizens with senior animals as part of their Seniors-for-Seniors pet adoption program. Would-be pet owners aged 55 or older can adopt a 10-year-or-older pet for free. Can’t get much better than free. Station Casinos, and many other casinos throughout Las Vegas, offer discounts to seniors on certain days of the week. Station Casinos offer $4 movies, half point bingo, half point bowling, and monthly specials to all seniors aged 50 years and up every Wednesday. This winter, why not get out on the ice? Take advantage of Reno, Nevada’s ice skating rink at a discounted rate. Seniors pay only $10 per session, or $65 for a 10-visit pack. If you’re an AARP member, you may be overpaying for your AT&T service. AARP members are eligible for a 10 percent discount on most monthly plans and a 15 percent discount on select accessories. Simply visit your local AT&T shop and show them your AARP card to apply the discount. Time to get my upgrade on! The Fleischmann Planetarium offers senior discounts to visitors over 60 years-old. Instead of the general $8 admission, seniors pay $6 for access to the Exhibit Hall and shows. Shows include full-dome digital planetarium experiences, with topics including the Dynamic Earth and Ice Worlds. Great for the entire family. The Deuce on the Strip is a line of double-decker busses that are perfect for sightseeing Las Vegas. According to their official website, “The Deuce and the Strip and Downtown Express (SDX) provide premium frequent service approximately every 15 minutes along the Las Vegas Strip and in downtown Las Vegas.” Senior citizens are eligible for reduced rates starting at 60 years-old. The Las Vegas Texas de Brazil location offers a considerable 10 percent discount off regular or light dinner pricing for those 65 years-old and older. The restaurant is known for their pricy buffets of excellent steak with Texas and Brazilian flavors. Nevada is a fantastic place to travel too, and why not? With beautiful natural spots and the buzzing Las Vegas nightlife, visitors of any age would love it. Seniors 65-years-old and older should be aware that most major airliners, including American, United, and Southwest, offer discounts on select flights. Contact the individual airline to learn more.